Nonprofits – David M. Kulawiak, Inc. INTEGRITY, TRUST & STABILITY. These three qualities are the foundation of good business practices, which is one of the reasons David M. Kulawiak, Inc. works with The Alliance of Nonprofits for Insurance (ANI). ANI is a 501(c)(3) tax-exempt insurance carrier that currently insures more than 14,000 nonprofits in 31 states plus DC. ANI is part of the nonprofit sector, and as such is governed by very different principles than commercial insurance carriers. Ethical behavior is integral to its mission, not an advertising slogan. ANI’s sole reason for being is to bring stable, affordable and appropriate liability insurance coverage and risk management services to the non-profit community. They do not go in and out of the nonprofit market – they are committed to this market. They have no motivation to over-price, under-price or inflate earnings, and their management and staff compensation is not in any way tied to net income. Because an insurance company is large, doesn’t necessarily mean that it is secure. In fact, as has been seen very clearly in the current economic climate, the true financial position of large, complex companies can be difficult to determine. ANI-RRG’s financials are straightforward and available for anyone to review on their web site and they have been assigned an A- (Excellent) rating by A.M. Best. ANI is part of the Nonprofits Insurance Alliance Group which also includes the Nonprofits’ Insurance Alliance of California (NIAC). 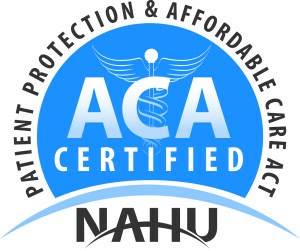 NIAC was founded as a result of the conservative insurance market in the 1980s, when nonprofits found themselves unable to find affordable insurance. Today, NIAC insures more than 6,000 nonprofits and has been so successful in California that in 2000 the Bill and Melinda Gates Foundation and the David & Lucile Packard Foundation each gave $5 million in grants to replicate the California model by starting ANI to provide the same great coverages and services to nonprofits outside California.